If the ailment is new to you, "What is GERD?" is a natural question. By understanding GERD triggers and symptoms, you can better treat the condition and keep it under control. 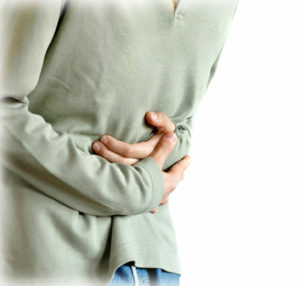 Your digestive system can experience a myriad of ill effects: stomachache, ulcer, bloated stomach, constipation. But what is GERD, or gastroesophageal reflux disease? If you have regular bouts of GERD symptoms, also known as “heartburn“—that sharp, burning sensation in the chest—do not necessarily dismiss them as something you ate. You may have developed gastroesophageal reflux disease. 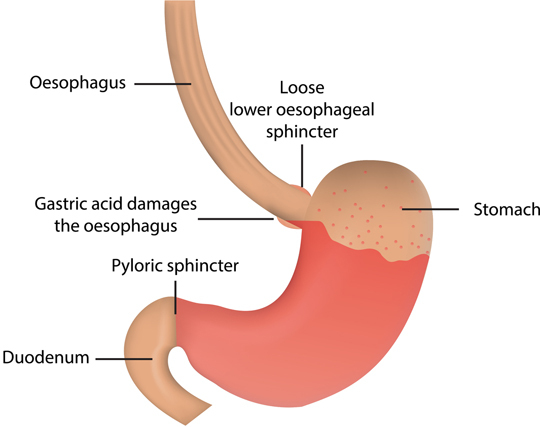 This is a condition where stomach acid flows back (reflux) up into the esophagus, burning the esophageal lining. Left untreated, the condition can worsen and lead to bleeding, scarring, and narrowing of the esophagus. GERD occurs when stomach acid backs up into the esophagus. GERD occurs when the lower esophageal sphincter (LES) becomes weak or defective and doesn’t close properly. An overly full stomach, a hiatal hernia, or even pregnancy can cause this. Certain drugs may cause the valve to leak, such as beta-agonists, calcium channel blockers, some antihistamines, and sedatives. Risk factors for GERD include foods that can weaken the lower esophageal sphincter. These include chocolate, peppermint, fatty foods, caffeine, and alcohol. Being overweight or obese also put you at risk for GERD. Other than persistent heartburn, GERD symptoms include chest pain, trouble swallowing, or difficulty keeping food down. Some people can detect the acid in their mouths, which has a metallic taste and can cause bad breath. GERD can also cause a sore throat, a dry cough, or a hoarse voice. Your doctor will need to perform tests to confirm a GERD diagnosis. Common screening methods include endoscopic exams of the esophagus and stomach or a biopsy of tissue, or your doctor may perform tests to check the function of the LES or the volume of acid your stomach produces. To treat GERD symptoms, your diet will come into play. Small, frequent meals are preferred over larger, less-frequent ones. Over-the-counter drugs can help and come in three categories: antacids, H2 blockers, and proton pump inhibitors (PPIs). 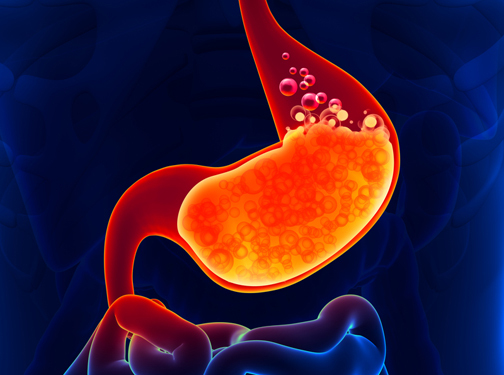 Antacids contain components that neutralize acid, H2 blockers decrease production of stomach acid, and PPIs block enzymes necessary for acid secretion. Stronger drugs are available by prescription. A few preventative measures can discourage GERD, such as avoiding troublesome food and drink, maintaining a healthy weight, and sleeping with the head of the bed slightly elevated. What Does Heartburn Really Feel Like? acid reflux, alcohol, bloated stomach, caffeine, calcium, calcium channel blockers, causes of gastritis, chest pain, chocolate, constipation, diet, digestive, food, foods to avoid, foods to avoid with heartburn, for osteoporosis, gastritis, gastroesophageal reflux, gastroesophageal reflux disease, gastrointestinal, gerd, gerd causes, gerd diagnosis, gerd symptoms, health, health news, healthy weight, heartburn, heartburn medication, how to help acid reflux, melatonin, melatonin for gerd, natural supplement, osteoporosis, pain, peppermint, ppis, reflux, risk for osteoporosis, sore throat, stomach acid, supplement, trouble swallowing, ulcer, university health news, what is gerd. Yes,I’ve been taking Melatonin 10mg.since 12/5/16 to help me sleep better,you’re write-up helped me appreciate Melatinin because J’ve had Gasttitid & Acid reflux for many months.I noticed that my attacks have lessen now,tnx to the Melatonin I’ve been taking the last 7 days & the sound sleep now.Your write-ups are indeed very helpful..Thank you so mucg!